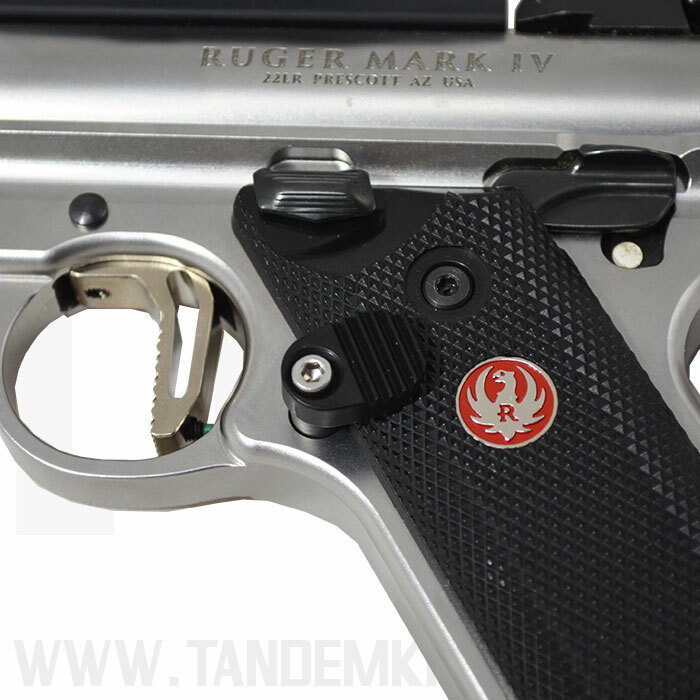 Get the best Ruger® MKIV™ upgrades from TANDEMKROSS. Includes two button styles, available in black or silver - perfect for customization! 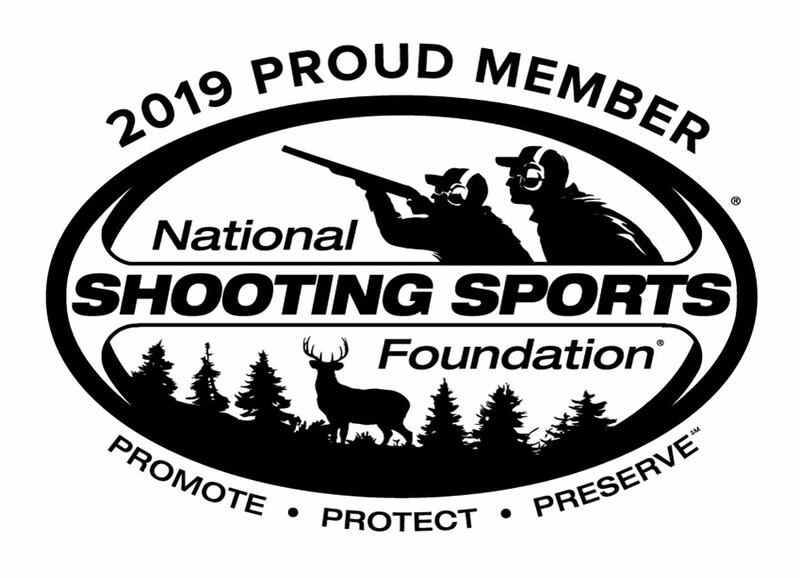 Ruger® MKIV™ is popular among shooting sports competitors and weekend plinkers, but for young shooters or other shooters with smaller hands, reaching the magazine release button without changing hand position can be a challenge. 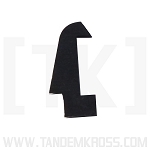 The TANDEMKROSS “Titan” Extended Magazine Release for Ruger® MKIV™ is a simple, drop-in replacement for the smaller factory magazine release, and offers significantly more surface area and height to boost the consistency and speed of magazine changes. 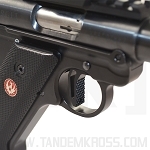 Shooting with an older MK series pistol? 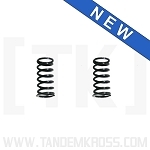 The "Titan" Extended Magazine Release also fits the Ruger® MKIII™! 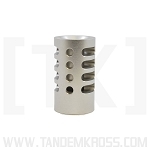 The “Titan” Extended Magazine Release comes with two button styles for a truly custom fit. 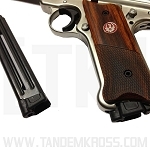 The round, textured button is taller and slightly wider than the factory magazine release button, but still low profile enough for shooters with larger hands. 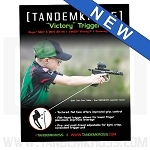 The textured, paddle-style button extends the magazine release not only out and away from the gun, but also back toward the shooter - ideal for junior shooters! 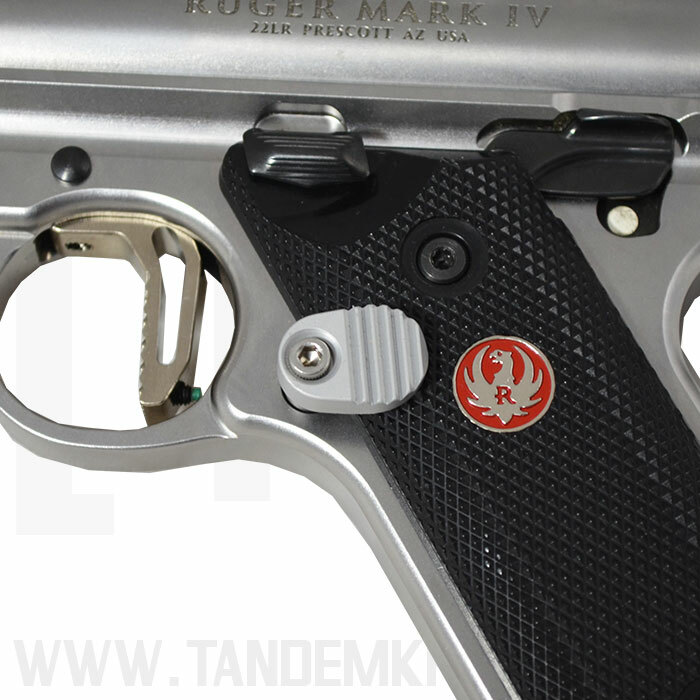 The Ruger® MKIV™ magazine release button and paddle are available in black or silver for further customization. 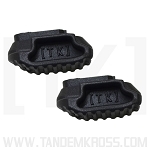 Both button styles are made of durable Zytel® and textured for a no-slip grip in any condition. 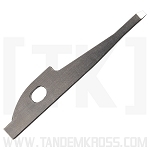 The paddle can also be positioned by the user for the ultimate customized fit. 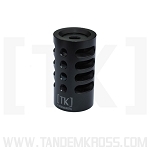 *Please note: The "Titan" Extended Magazine Release round button is compatible with MKIV Altamont wood grips. The paddle style button will not work with the wood grips. Installed mag release and wouldn't let mag fully into mag well. Too much material on bottom lip for mag to pass by. Being a tool and die maker I carefully done a light dremel and diamond file on it and removed enough material to allow clearance for the magazine to pass but it wouldn't hang on reliably and the mag would release on its own occasionally. Went back to the factory release. Being that I altered the part I didn't bother trying to return. Had to eat the $35.00. 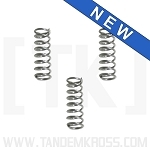 Love TK parts and workmanship on everything else I've bought for my Mark IV but better pass this one by. Too bad guys. 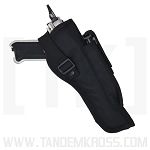 Works very well, and makes dropping the empty mag easy to do without shifting my grip. I did have to polish the ledge that actually captures the magazine to allow a new mag to be inserted. My mags would drag on the catch until it was polished. High quality product and easy install. 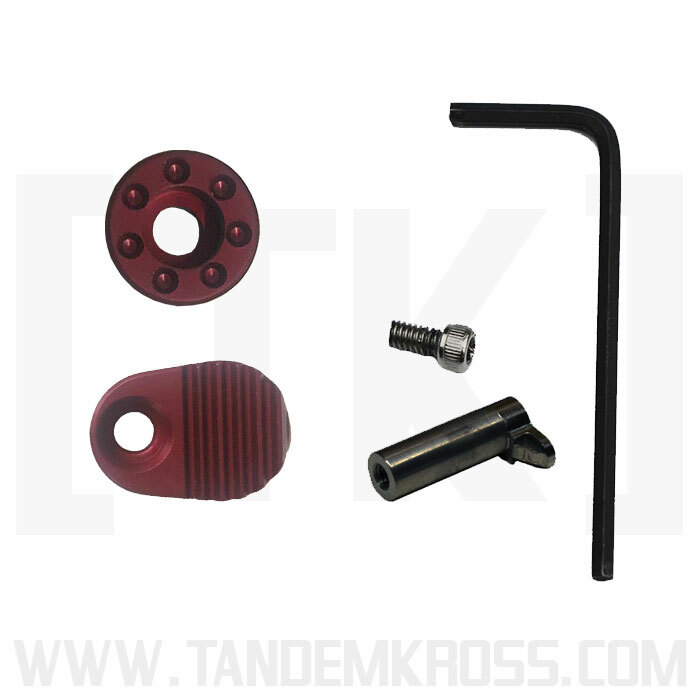 Great options for fitting to your particular grips. Had to file back side of button to clear my over size custom grips.